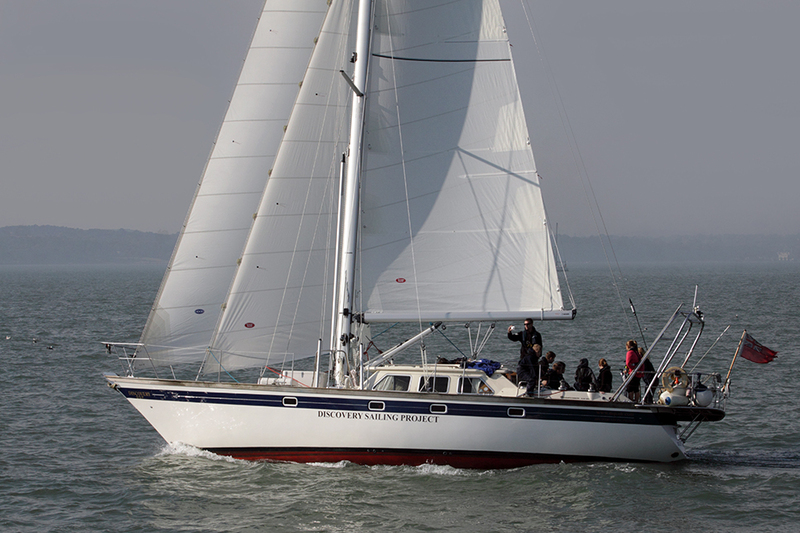 The Discovery Sailing Project is the offshore sailing arm of the Docklands Scout Project (DSP). The project was founded in 1971 by the Discovery Committee who ran courses for Scouts and Guides on the RRS Discovery, Captain Scott’s polar exploration ship, when she was moored on the Victoria Embankment in central London. RRS Discovery has since moved to Dundee, where she is now open to the public. The aim of the project is to provide opportunities for young people over the age of 12 years, (14 recommended for longer cruises), to take part in sail training trips, and also to compete in the annual Tall Ships’ Races. The project also trains adults to become Skippers and Mates.